If the A-League did have relegation, perhaps the bottom four should all go? If you woke up on Monday morning after a few too many Australia Day weekend shandies and accessed the most up to date A-League news, you probably shared my disappointment. After Perth’s comfortable 2-0 win over the Jets in the west and Adelaide’s come from behind triumph at home against the Central Coast, the top six teams on the ladder have skipped well clear and daylight fills the chasmic distance to the bottom four. It was not something I expected to see come the New Year and a resounding disappointment it is. Pre-season, the Mariner’s did appear to be in a obvious period of rebuild, with mass player turnover and Mike Mulvey stepping into the driving seat. However, Brisbane, Newcastle and Western Sydney have no real excuse for being as bad as they have been. Perhaps they were not included in many people’s pre-season top six predictions, but rustling up a paltry seven wins from 48 collective matches is statistically alarming. Considering that two of those seven wins have come in matches where the three clubs in question have battled each other and the point becomes potentially even more salient. 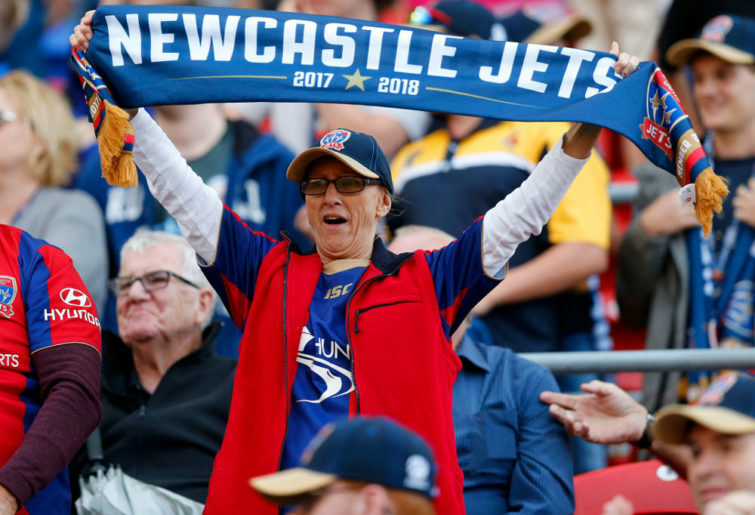 Whilst it is common for clubs to have poor seasons where injury, luck and form hamper their performance and turn finals hopes rather pear-shaped, seeing four A-League clubs in that state is annoying, inconvenient and fodder for critics of the competition. Most surprising is Newcastle. Grand finalists just nine months ago, their points return has been paltry and despite being the best of the rotten four, they sit eleven points from the Wellington Phoenix in sixth. The chances of making up that ground are slim and none. That impossibility is mostly due to Wellington’s good play and the reality that they seem sure to pick up more wins on the road to the finals. Secondly, the Novocastrians have bordered on awful at times. Despite many feeling that fortune would eventually turn and see the Jets embark on a mid to late season run where the magic of 2018 returned, nothing has happened. Literally, nothing. With just four wins and three draws to ‘cheer’ about, Newcastle fans might well be entitled to ask serious questions of their veteran manager and the supposed star quality of Ronald Vargas and Jair. Vargas was blunderingly inept during the first half against Perth and Jair has still not managed to convince Ernie Merrick of his worth as a consistent starting presence. Steven Ugarkovic looks so low on confidence that I feel like giving him a cuddle and Roy O’Donovan has not reignited the Jets mojo. Throw in the rather subdued signing of Matthew Ridenton and a guy running around at the back looking a lot like Daniel Georgievski but playing nothing like him, and sympathising with Jets fans becomes quite easy. Further south, Markus Babbel appears to be the victim of some sort of bizarre managerial test being run by the FFA to measure just how far one man can be pushed before completely losing the plot. The Sydney Cricket Ground explosion was big at the time, yet nothing in retrospect, as the Wanderers have slowly but surely seen confidence and composure drained from their squad. Playing the kids has helped to some extent with Abraham Majok, Mark Tokich and Tass Mourdoukoutas potentially providing an insight to the future, yet Oriol Riera and Raul Llorente have failed to lead in the manner expected of such experienced players. Babbel has also suffered from a goalkeeping issue that has led directly to lost points. Vedran Janjetovic is a shadow of his former self and rebuilding his shattered confidence may take some time. 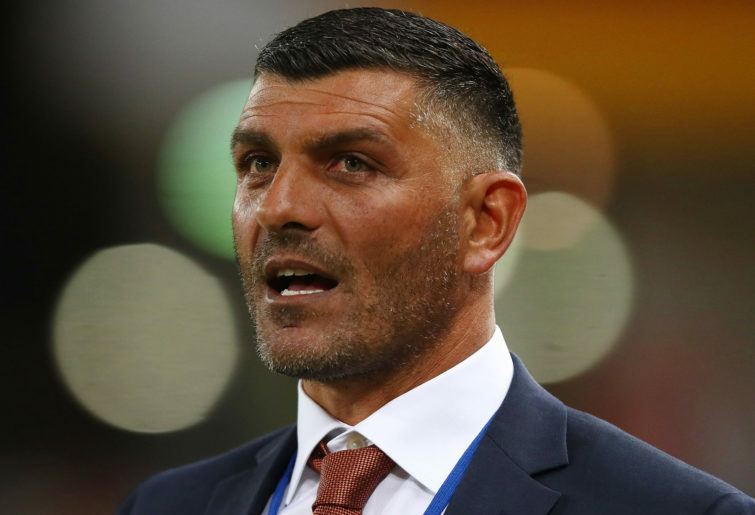 Friday night’s clash with Brisbane at Suncorp Stadium said much about both teams and ended in another farcical meltdown for Western Sydney; with the Roar there to pounce on a draw in the final seconds. It somehow punctuated the seasons of both clubs to this point, with neither good enough to claim bags of points thanks to mental frailties and juvenile errors at crucial moments. Darren Davies is a very brave man taking on the post – John Aloisi Roar. The squad looks old and slow despite the fact that it isn’t. Joe Caletti, Nicholas D’Agostino, Dane Ingham, Daniel Bowles and Connor O’Toole have all become starters. What might be hurting them more is echoes of the limited tactical nous they presented under Aloisi. Playing the courageous and ageing Henrique from the opening whistle, in a team crying out for some marquee class and spark, speaks volumes about their personnel and the poor form of Tobias Mikkelsen. How Adam Taggart has managed to find ten goals is astonishing considering just how bad things have looked at times and one can only imagine how many more goals a Brisbane Roar team without Jamie Young may have conceded. Along with the undermanned and battling Mariners, the entire bottom four look eons from the top six; who should produce an excellent finals series. However, in a ten-teamed, salary capped competition, I was hoping for something a little more. As I am sure the Wanderers, Roar, Mariners and Jets were at the start of the season. Sadly, there are all now just making up the numbers.